Sunday morning at 9am, the Amphitheatre becomes a giant Tai Chi class. Patrons and workers alike down tools and enjoy a demonstration by world-renowned Tai Chi expert Master Jin Song Han. 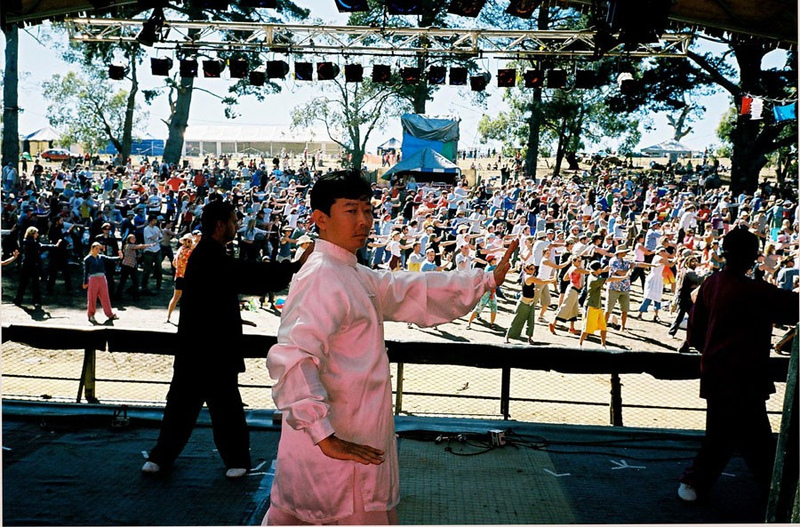 Master Song first graced the Meredith stage back in 2001, when we picked the first name out of the phone book under “Tai Chi” and gave him a call. Turned out he was the former National Coach of China. Yes, he should bring his ceremonial weapons and give a demonstration. Yes, playing his music would be possible. No, he didn’t need to bring a tape player.